There’s no perfect way to manage massive quantities of emails, but everybody has their preferences. Some people are Gmail purists, who might be sad to know that the Google’s free supercharged email management app Inbox will stop working on April 2. Others are Outlook devotees, who probably get the app free through work. Me, I’m a lifelong Apple Mail enthusiast. It’s not perfect. Actually, the app is pretty awful for a lot of reasons, which led me to wonder: can one pay money for a better email experience? The short answer, I guess, is yes. There are a growing number of companies that would love to sell you a jazzed up email app, while the free options seem to be dwindling. So the real question is should you pay your way out of email hell? I guess that depends on how bad you are at email. If you think you could be emailing better, your options to pay for a premium email apps are wide-ranging, both in price and features. 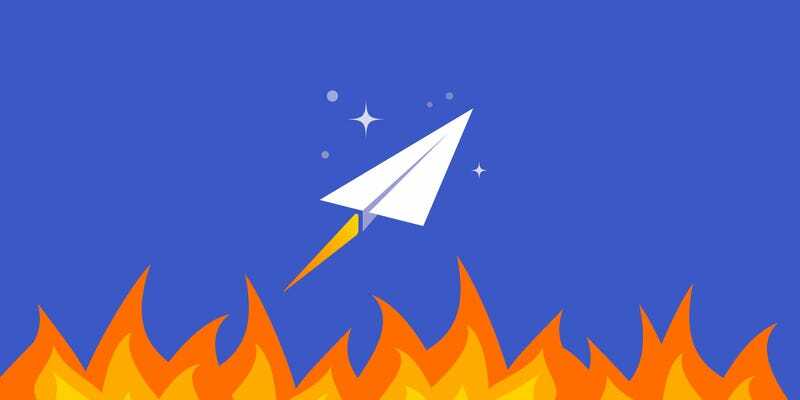 Curious about whether these clients offered sweet enough features to make email less painful, I spent a few weeks testing out various paid email apps, including Newton, Outlook, and Airmail 3. I also tried Spark and Edison, which are both free. (If you ever want to feel alive, try downloading five email apps, leave notifications on, and just stare at your phone for an hour.) Since I’m an Apple user, my experience was limited to macOS or iOS apps. So this is by no means an exhaustive guide to email apps. It should give you a good idea of trending ways to save you from email hell, though. One of the more famous apps is Newton, which is also the most expensive at $50 a year. The client originally launched back in 2013 as a free app called CloudMagic and later became known as Newton, when the company started charging for features. The whole operation shut down last fall, at which point Newton had been charging users $100 a year for its email app. Essential, the smartphone company founded by Android mastermind Andy Rubin, recently bought Newton and resurrected it with a $50 annual price tag. (There is a free two-week trial.) That’s still a lot of money for an app that does the many of same things that free email apps do. It’s too much money in my opinion. What is nice about Newton is that it works with iOS, Android, Mac, as well as Windows, which makes it easier to unite several accounts across multiple different platforms. The design of the apps left something to be desired, though. To me, Newton just looks like a dressed up version of Gmail, and for now, there is no dark mode. There are some handy features like algorithmically generated recaps, which flag emails that require a follow-up. Newton also integrates with productivity apps like Evernote, Salesforce, and Trello so that you can easily save stuff from your emails to the apps. This kind of thing might be helpful for some people, but not me. I found the Recap feature to be genuinely useful, although Gmail offers a similar feature called Nudge. That said, I must admit that I’m still a little bit squeamish about algorithmically sorted emails, and Newton’s Recaps always made me feel like I was missing something. Meanwhile, most of the other little features in Newton were pretty similar to those in much cheaper email apps. I get it. Even the latest version of Microsoft Outlook is designed for people who have been using the email client for years. A lot of these legacy design elements can also be hidden, although keyboard shortcuts seem to be the only real alternative to using them. So I guess I could live with this if I were forced to, but I certainly wouldn’t spend my own money on this software. Quite refreshingly, however, the Microsoft Office mobile app is totally different and free for non-commercial accounts. Unlike the desktop version, the mobile app appears to be designed for Gmail veterans who would appreciate a similar experience in a third-party client. There’s a “Focused” inbox that seems to work a lot like Gmail’s priority inbox, and an “Other” inbox for everything else. Replying to emails feels a lot like replying to a text message. Young people must love this kind of thing. Still, I felt like Outlook for iOS didn’t offer enough new features to get me to switch from my regular Mail app. But Gmail people might like it. This is where the cheapest paid email apps I tested, AirMail 3, set itself apart. It’s not a Gmail clones like Newton or Outlook for mobile. Airmail 3, which costs $10 and is only available for iOS and Mac, actually feels more like a feed of email previews with a set of controls on the left rail that don’t distract you from reading your messages but don’t hide from you either. There’s also quick access to handy features like snoozing message and creating calendar events. What makes Airmail 3 special is the ability to customize almost everything about the app. You can choose between half a dozen different themes, pick your own keyboard shortcuts, and even create swipe-based shortcuts. On top of that, Airmail 3 also connects to a huge range of cloud services and third-party apps, like Google Drive and Trello. The deeper you get into Airmail 3's features, the more a one-time payment of $10 seems like a deal compared to the $50-per-year Newton. Nevertheless, the ultimate question of whether or not you should pay to improve your email game remains. The free options out there are pretty good, too. Spark is an iOS- and Mac-only email app that won’t cost you a cent and has a super useful smart inbox that I like more than similar features in paid apps. (If you’re an Apple user, you might find this Lifehacker piece helpful if deciding between Airmail and Spark.) I also spent some time with the $0 Edison app, which is blissfully simple and has some useful collating features that make it easy to look at specific kinds of emails like subscriptions or travel itineraries. And there are more free apps out there. My gut tells me that nobody can pay their way out of email hell. Email is inherently terrible which is why so many companies are building apps to make it less terrible. If you feel fed up with Apple Mail or Gmail or whatever stock client you’ve been using, do yourself a favor and try out the free options. If you want more features, don’t feel like you need to pay $50 a year to get the best email client. A $10 option like Airmail 3 might be all the upgrade you need. But if you end up trying all of these and still feel like your inbox is overwhelming, you can buy pretty affordable real estate deep in the woods in remote parts of the country. Move there. Read books. Send snail mail.